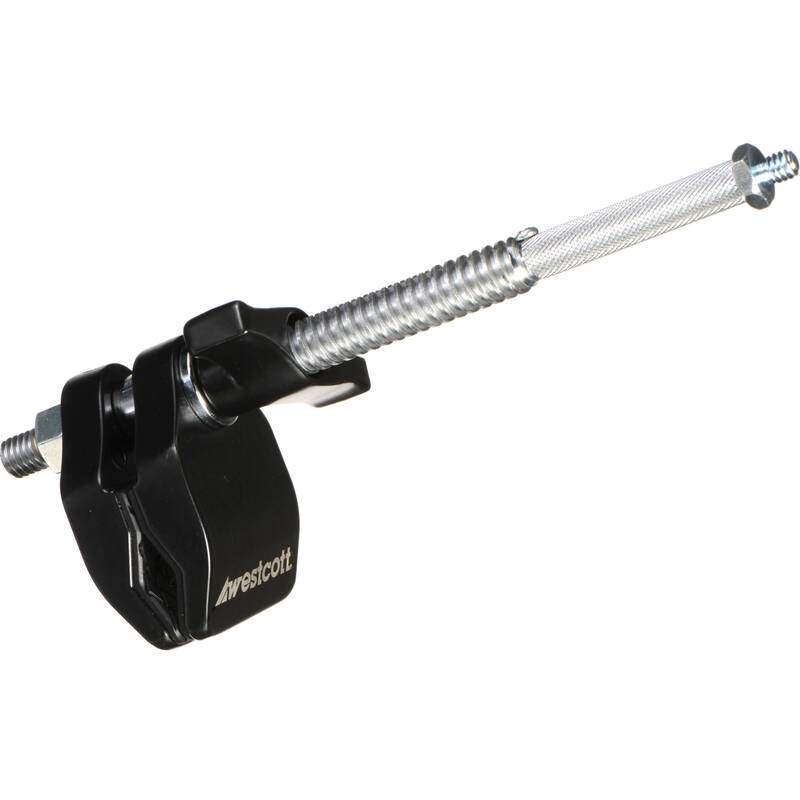 The Center Jaw Vise Grip from Westcott provides strong, solid gripping of round, square, or rectangular tubing and many other common or irregular shapes. The vise grip utilizes 2.5" padded jaws which sit in the center of an 8.5" threaded steel shaft. Box Dimensions (LxWxH) 12.75 x 5.2 x 4.4"
Center Jaw Vise Grip is rated 3.4 out of 5 by 11. Rated 3 out of 5 by Ray THE KNOW IT ALL from Westcott jaw vise grip I think there a little wimpy. The good thing about these clamps is there useful for other purposes. I'm replacing them with the Digital Juice Frame Clamps. There overkill, but I like overkill. Rated 4 out of 5 by Anonymous from this product is OK This works Okay but I went and ordered the Mathews version I expect it to be more substantial. Rated 3 out of 5 by Olen from Not quite as good as I hoped for the price I bought this to hold my 4x4 scrim jim. It won’t the scrim jim to the side as pictured in the scrim jim directions. Cranking it down super tight and the scrim jim still sags. It holds fine when gripping the top or bottom of the scrim jim frame, but if you need to put it out to the side, good luck. Rated 2 out of 5 by ethan from Stem is not practical buy something different If you are using them with a grip head the stem will only fit into the smallest grip hole of the grip head at which they will jam the head from opening back up. SO you will need a screwdriver to pry the grip head open. THis is not a good match for a grip head which B & H recommends when purchasing. I highly recommend getting something like these but with a thicker stem. Rated 3 out of 5 by Bill from good clamp, strange stem This looks like a Cardellini...umm...homage...clamp works well to hold onto the frame of the scrim jim. Not really sure about the threaded stem, though. Maybe we were misusing it, but it got jammed inside a standard Matthews grip head twice, and locked the grip head up. Very weird, baffled both the gaffer and me. Other than that, liked it. Rated 1 out of 5 by Sebastian B. from Vice doesn't hold well at all Maybe I don't know what I'm doing, but as much as I tighten the grip part it is still not holding my scrim jim safely. I decided to bypass the vice and just screw it into the hole in my scrim jim. Rated 5 out of 5 by Nathan P. from Best Grips for the Scrim Jim I've tried two other clamps for mounting the scrim Jim frame to c-stands and the center jaw vise grips have been the best fit yet. Is one end of the shaft 1/4-20 thread? No. Just the main thread visible in the ad. No female threads either end. Would this work better than a Matthellini/Cardellini clamp for the Scrim Jim Cine Frame?